We are a family owned and operated company. One of the owners is always on the job site to answer any questions or concerns you may have. We can do any size job, there is nothing to big or to small . We offer great customer service and amazing quality work. We offer free estimates and ALL work is guaranteed. EMS concrete provide high quality concrete with satisfying results. we value in being on time,honesty, and treating every job as if it was our 1st job. our prices are reaonable and affordable and we always try to beat our competitors for the right price. 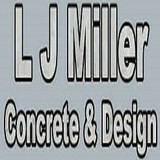 We are an asphalt and concrete contractor serving the entire Puget Sound. We specialize in all phases of asphalt, seal coating, striping and concrete flat work. From minor repairs to new installation, no job is too small or too big. We will be happy to help you on your project. Please contact us for a free estimate. Emerald Paving's employees are highly skilled professionals who take pride in customer satisfaction. Since 1983 Emerald has constructed numerous paving projects from the Cascades to the San Juan Islands. Emerald's grading and paving projects include: Commercial, Industrial, Public Works and High End Residential. We also provide clients with design and construction of parking lots, tennis courts, running tracks and 5 foot to 9 foot machine laid asphalt pathways for parks and golf courses. Emerald Paving has been a member of the Associated General Contractors Safety Team since 1990 with awards for being in the elite top twenty-five with the lowest Labor and Industry modifier. Global Paving, LLC is a 4th generation asphalt contractor providing residential and commercial asphalt paving, maintenance, and repairs. Our company was built on the foundation of quality workmanship and excellent customer service. 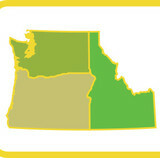 In addition to serving clients in the greater Seattle and Tacoma WA areas, we also operate throughout King, Pierce and Kitsap Counties. We take pride in making sure each job is completed on time, within budget and with the professionalism you deserve. Nothing is more important to us than delivering full customer satisfaction. Looker Asphalt, Inc. is prepared to handle any of your asphalt needs. Whether you require new pavement, an overlay project, asphalt patching or repair, we are equipped to provide the specialized services you demand. Our crews are experienced, professional and courteous, and we ensure quality in everything we do. When you contract with Looker Asphalt, Inc., your satisfaction is guaranteed. Since 1996, this year 2016, SPS Company is celebrating our 20th anniversary. This is an accomplishment that would not be possible without you! We would like to take this time to thank you for all of your help, loyalty, and service. As you will see, we are very serious, at SPS, in becoming the industry leader in customer service and quality workmanship. We do new construction and maintenance work. There is no job too big or too small. Our goal has been to provide our customers with unparalleled customer service and quality workmanship. Gencon Pacific is a Commercial General Contractor of over 37 years in the Tacoma area. We have recently branched out with out residential and small projects division. Our small projects division provides a dedicated crew with the ability to respond to your smaller scope projects and repair work on shorter lead times and/or limited timelines. We provide cost effective solutions for your repair work as well as quality expedited service as a whole. We are solution driven and can perform repair work as well as patios, outdoor kitchens, driveways, foundations, sidewalks, landscape features and custom work. No job is too small for this division of Gencon, and we will help navigate through any project with ease. Washington State Paving LLC is a team of experienced paving contractors who provide a full list of services for the paving of roads, parking lots and driveways. We are equipped to install new pavement and also repair existing surfaces. We take both commercial and residential jobs and additionally specialize in striping, crack repair, sealcoating and more. Our services are designed to created durable surfaces and also to extend the lifespan of our customers current asphalt. From installation to repair, Shoreline, WA driveway contractors are responsible for a variety of planning, installation, construction and driveway maintenance services. Driveway installation. Before work begins on a new or replacement driveway, your professional should create plans based on your needs and material choices, as well as your property grade, soil and other Washington landscape factors. When it comes to the actual driveway construction, driveway contractors are responsible for preparing the site, obtaining the necessary materials, making sure a strong foundation is laid, operating equipment and heavy machinery, and cleaning up the site afterwards. Driveway materials. While most driveway contractors in Shoreline, WA primarily work with asphalt, they are also experts on the wide range of available driveway materials. If you are looking for something different than a standard asphalt driveway, your pro can help you select driveway pavers or customize a brick driveway design. A driveway installation and maintenance professional may work closely with a Shoreline, WA builder, landscape professional or various manufacturers and suppliers. Find a Shoreline, WA driveway installation and maintenance professional on Houzz. 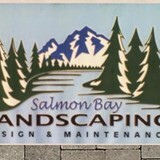 Narrow your search in the Professionals section of the website to Shoreline, WA driveway installation and maintenance. 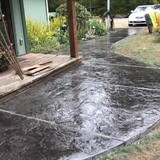 You may also look through Shoreline, WA photos to find examples of driveways that you like, then contact the professional or contractor who worked on them.